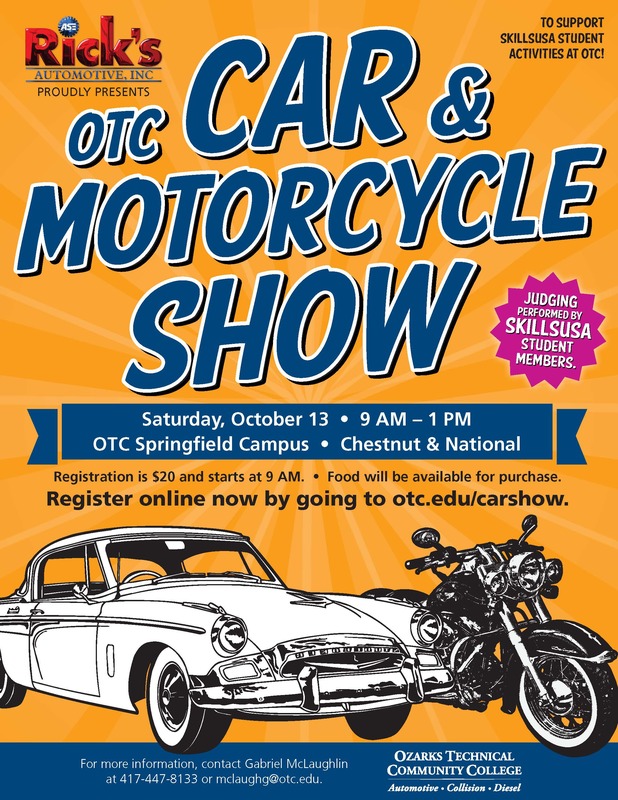 The 2018 OTC Car & Motorcycle Show is presented by Rick’s Automotive, INC. Proceeds from this event go to support SkillsUSA student activities at OTC. The judging for the event will be performed by SkillsUSA student members. Registration for entering a car in the show is $20 dollars. Attendance to the car show is free.